Behold, The Official 'Fantastic Four' Movie Poster Has Arrived! 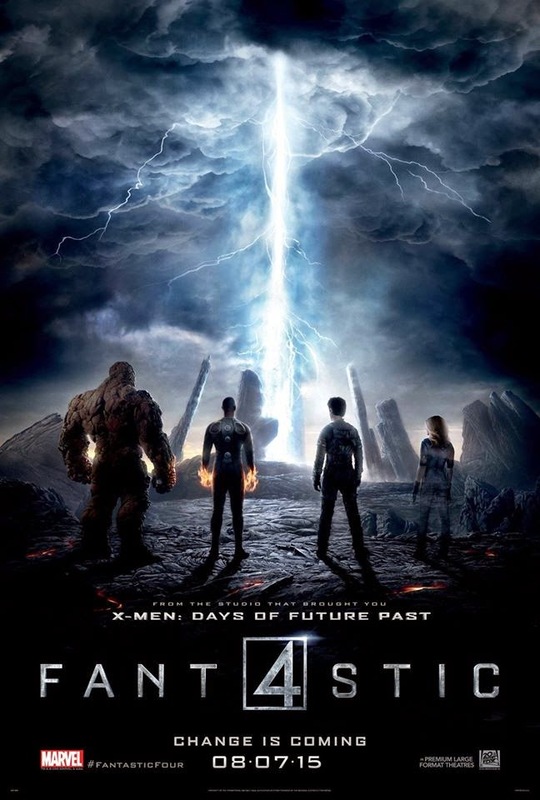 20th Century Fox released the first official poster for Fantastic Four which is basically a scene we saw in the teaser. The Josh Trank directed comic book adaptation has had a most curious route to the big screen but industry insiders swear that the movie rocks and all fanboy anxiety is unwarranted. This grounded version of the legendary Marvel superhero team stars Jamie Bell, Tim Blake Nelson, Kate Mara, Toby Kebbell, Michael B. Jordan, Miles Teller, and Reg E. Cathey. Fantastic Four is due out in theaters August 7, 2015.